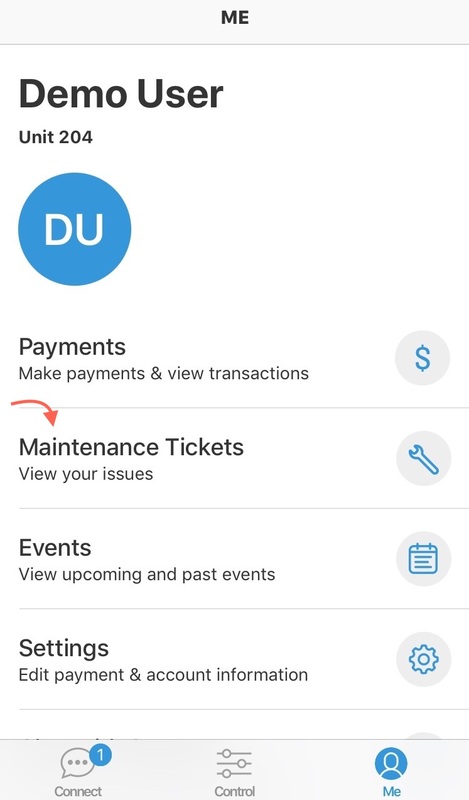 Navigate to the Me tab of the Homebase Resident App and select Maintenance Tickets. Select the blue New Maintenance Request button at the top of the screen. Choose a maintenance category from the dropdown list. Tap and type in the text field to include a brief description of the issue. Select the Take Photo camera icon to add photos. 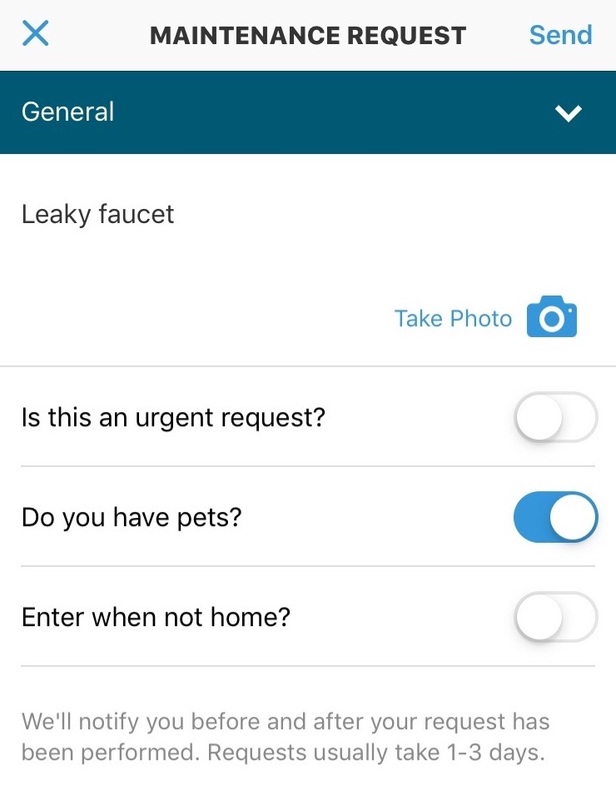 Use the toggles to specify if the issue is urgent, whether there are pets in the unit and if maintenance workers can enter the unit when you are not home. Once complete, select Send in the upper right hand corner of the screen to submit the request to building management.